THIS MOBILE WORKSHOP IS AT CAPACITY. Denver's natural areas include open space, mountain parks, river and creek corridors, and other parcels of undeveloped land. These areas and their resources are managed by the Office of the City Naturalist, which maintains them as essential refuges for the many plants and animals that call them home. Natural areas are large supporters of health in urban areas, helping filter out pollutants in the environment and improving air and water quality. The Office of the City Naturalist's work includes noxious weed management, native plant restoration, lake management, water quality, and wildlife management. 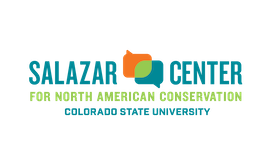 During this workshop, tour some of Denver's natural areas while learning about our management techniques and values.